Wall Street's top prosecutor just schooled a room full of New York bankers on bad behavior. Preet Bharara is greatly feared on Wall Street. As the U.S. attorney for the Southern District of New York, Bharara has prosecuted dozens of high profile bankers on insider trading and securities fraud. He said the key ingredient to fixing big banks' terrible tendencies is to create a culture of integrity. And all too often it's lacking, Bharara said Thursday at the New York Federal Reserve's annual conference on banking culture. "Everyone from the mail room to the board room needs to feel it in their bones, that the bosses care about integrity," he argued. Bharara said it isn't enough for financial firms to just check the boxes and say they comply by the rules. There needs to be an overarching sense that honesty, integrity and transparency are behind a company's framework. He said the most toxic culture is one of silence. Bharara sees it across many of his cases, not just on Wall Street but also on drug dealers, crooked cops and terrorists. He pressed the audience not to "look the other way, to conform." His speech followed remarks earlier in the day by New York Fed President William Dudley who said big bank had lost their credibility with the public after years of "deep-seated cultural and ethical problems." 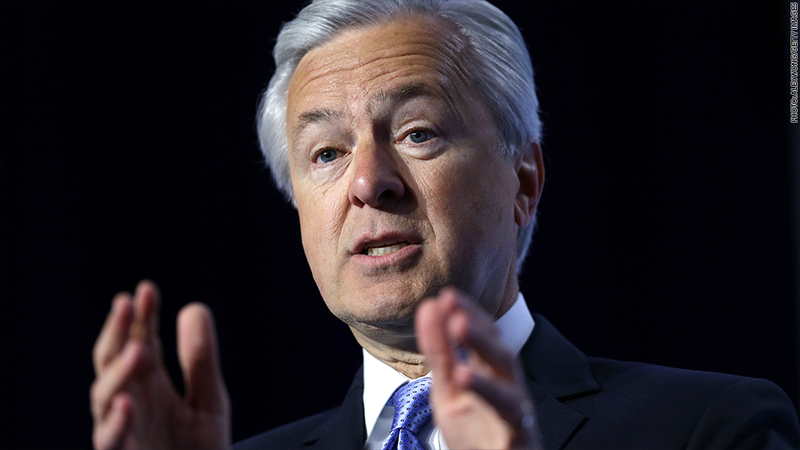 The two Wall Street regulators' tough talk comes one week after Wells Fargo (WFC) ex-CEO John Stumpf stepped down in the wake of a massive scandal at the bank involving millions of fake credit and debit accounts. The bank has been fined by other regulators and is being investigated by the Department of Justice. One of the big issues at Wells Fargo, as CNNMoney has reported, is retaliation against whistleblowers. Bharara called those who silence would-be whistleblowers, the "enablers." "Disable the enablers and ring the alarm bell early...they are ticking time bombs," Bharara said. Bharara outlined the three major risks he often sees in the white collar criminal firms he prosecutes: a culture of minimalism, a culture of formalism and a culture of silence -- the last being the most lethal to a company's downfall, he argued. By formalism, Bharara meant companies that tell employees to abide by litany of rules and never break them even if it's for a just cause. He said some failed hedge funds make new employees learn rules without explaining why they're important to the firm's culture. Bharara made his point on minimalism by talking about an unnamed Harvard Business School student. When Bharara went to speak to a HBS class, he warned students not to get too close to the line of misconduct. The student asked Bharara how close is too close. "Aspiring to the minimum is a recipe for disaster," Bharara said. Want more business news? Download CNN's Money Stream app! Bharara also had a bit of fun with the crowd of investment bankers, hedge fund traders and other finance types -- the types he tends to prosecute. He said someone had asked him why he speaks at events with people who may not be his biggest fan. "I really like the sound of nervous laughter," Bharara said. The audience erupted in laughter. He grinned.